Fluidic Flowmeters LLC was formed to address the growing need for specialty flow measurement in industrial process control systems. Frequently the ability to optimize a production process is limited by the availability of reliable process information. Accurate measurements made practical by unique technologies will often increase the control and process engineer's capability to improve the performance of the control system, and thus the production process. 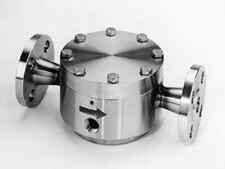 Fluidic Flowmeters are classified as Oscillatory Flowmeters, which utilize specially designed geometric shapes to create an environment where self-induced, sustained oscillations will occur. Oscillatory flowmeters are inherently digital devices; that is, the basic unconditioned output signal is a frequency. In a properly executed flowmeter, the frequency of oscillation is accurately proportional to volumetric flow rate. 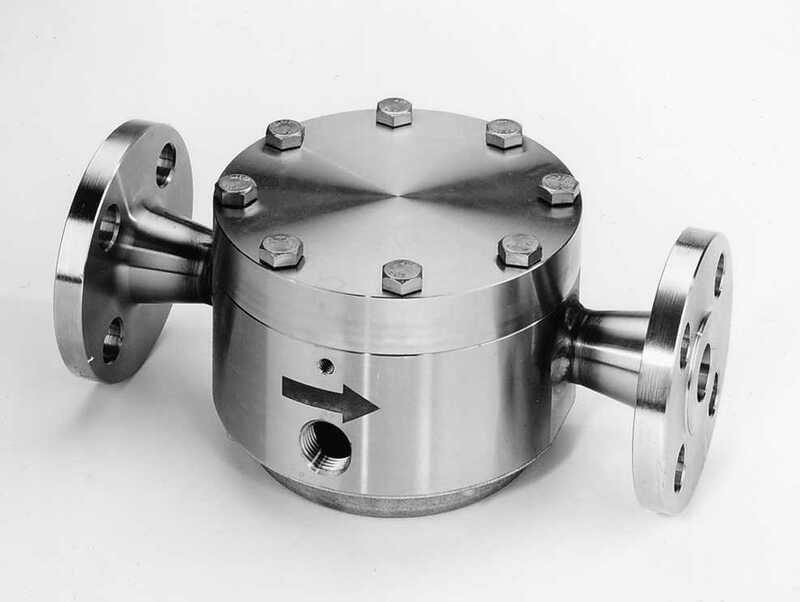 There are several categories of oscillatory flowmeters, each with unique geometry and application characteristics. 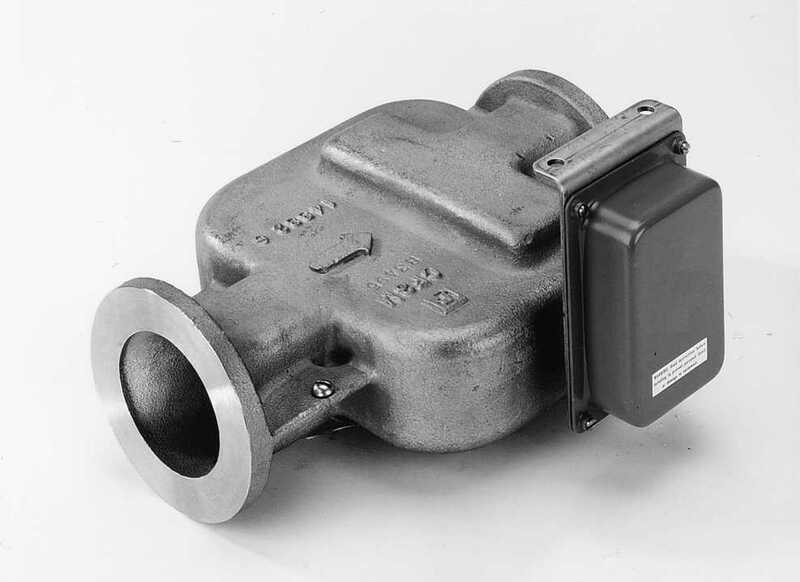 The Model 140MX operates on the fluid principle of Momentum Exchange. It is an oscillatory flowmeter which utilizes a specially designed geometric shape to produce self-induced oscillations. Unlike traditional flowmeters, the 140MX has no moving parts or bluff bodies to wear or jam. This ensures years of reliable service, and coupled with its ability to handle high viscosity fluids and low flow rates, provides exceptional performance in your toughest applications. In addition, the fact that there is no piping run requirements simplifies installation and yields cost savings. Pipe Sizes:	0.75", 1.0" & 1.5"
The Model 141 operates on the fluid phenomenon of the Coanda effect. The geometric shape of a Coanda flowmeter produces a continuous, self-induced oscillation at a frequency that is linearly proportional to flow rate. Like the 140MX, it has no moving parts to jam or wear out. The Model 141 is rugged, and can withstand harsh environments. It is highly immune to vibration and shock, and will continue to perform within specification even after being subjected to flow overranges as high as 400%. Pipe Sizes:	1", 1.5", 2" & 3"
© 2019 Fluidic Flowmeters. All rights reserved.